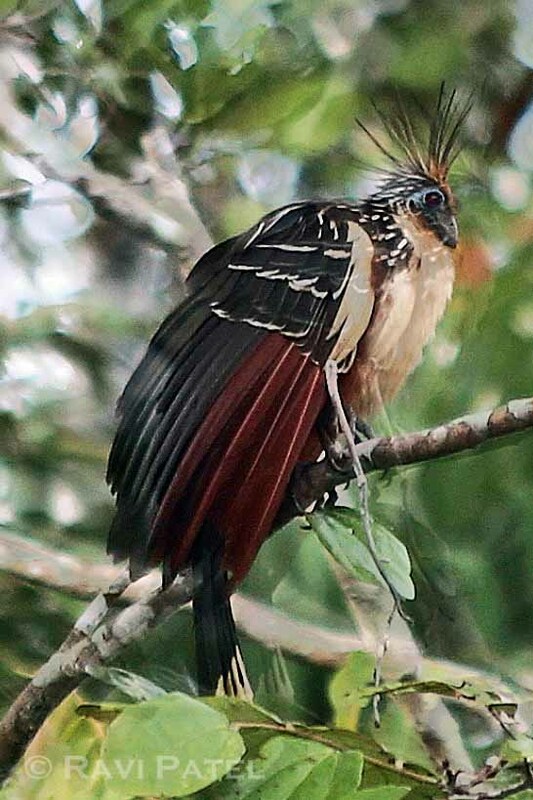 The Hoatzin (Opisthocomus hoazin), also known as the Stinkbird, is a species of tropical bird found in swamps, riparian forest and mangrove of the Amazon and the Orinoco delta in South America. This entry was posted in Birds, Ecuador, Photography, South America, Travel and tagged Ecuadorian Amazonia, Hoatzin, stink bird. Bookmark the permalink. I recall these birds being called ‘Stinky Turkey’!